You are currently browsing the category archive for the ‘penwith’ category. 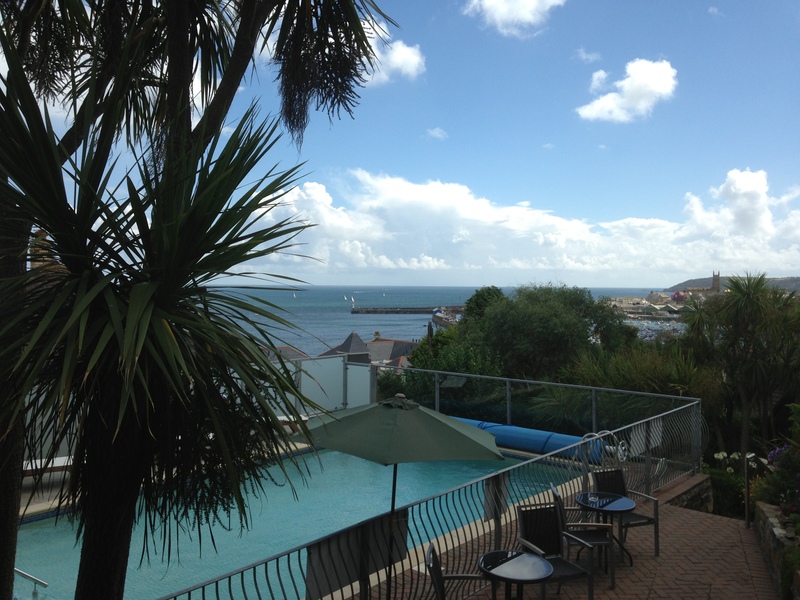 The view from the Bay, Penzance, on Saturday – a perch worth noting in a town so curiously short of alfresco eating and drinking options, and yet so very well-furnished with views. Afternoon tea wasn’t bad, if lacking in leaf tea (boring old Twinings was served). 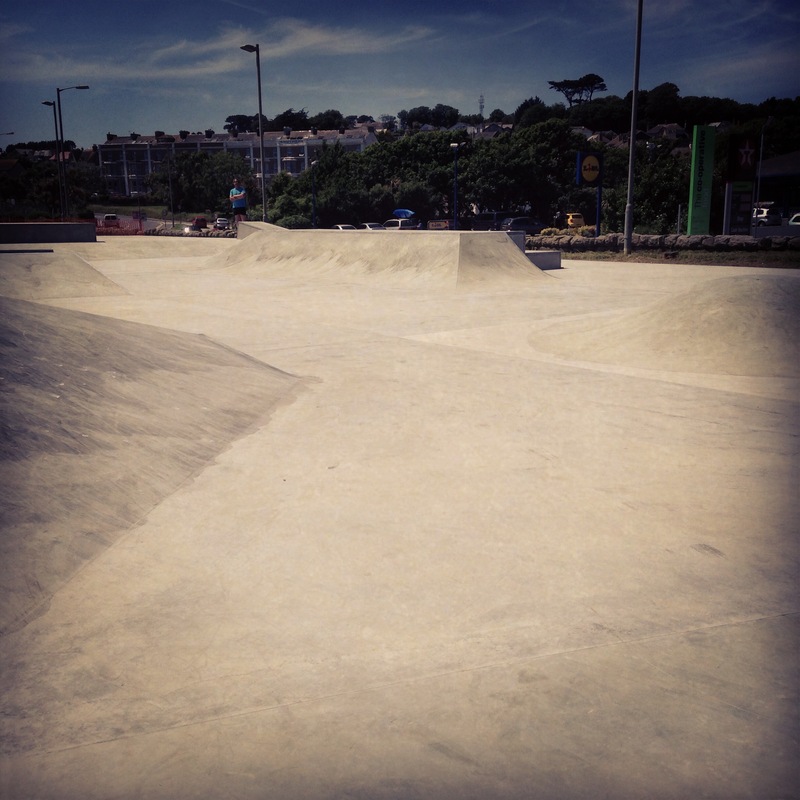 Penzance Skate ‘plaza’ opened today on the prom and I’m going to offer the (uneducated in skate) opinion that it looks extremarily cool. The undulating concrete skatescape even looked tempting enough for this ultimate novice to ponder the consequences of attempting that satisfying-looking smooth bump to the right of the picture. Power to the prom. Thanks go to my chief Cornish correspondent in the capital and my Cornish-by-conviction friend Chris for alerting me to the fact that Penlee House Gallery‘s walls must be looking a little bare at the moment, thanks to a major retrospective exhibition of Cornish art currently showing at Two Temple Place in London. What with it being 308 miles away – and by First Great Western’s calculations a £110 journey – I haven’t yet been. 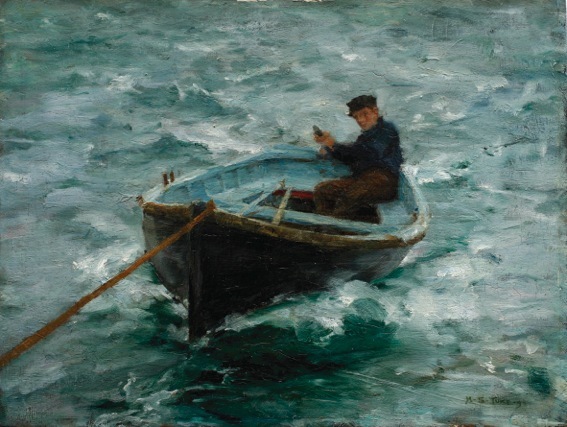 But I can see from the reviews that it has some winners from the Newlyn School – paintings that I never get bored of. 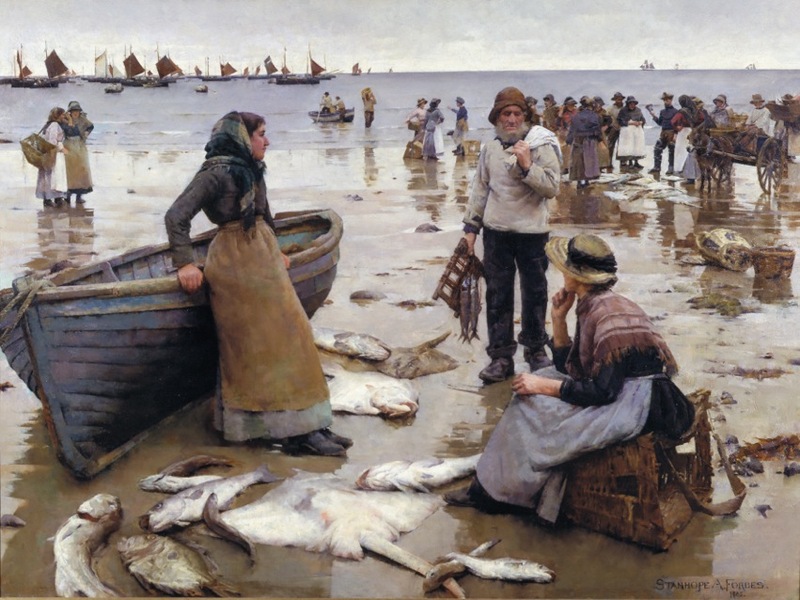 One of them is ‘A Fish Sale on a Cornish Beach’, pictured above, by Stanhope A Forbes, dated 1885. This sort of industrious beachside scene might be a thing of the past but the bearded guy would not look at all out of place nipping into the Swordy for a pint of something murky of a Friday. 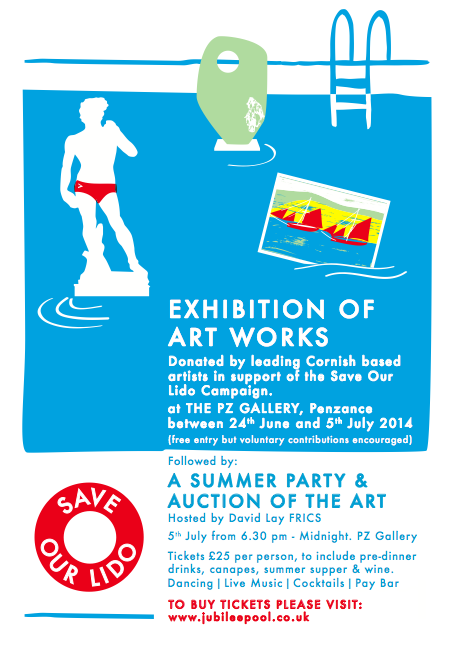 I have to admit that for me there is something slightly jarring, or rather confusing, about the title of the exhibition – Amongst Heroes – but this is clearly a fine slice of Cornish art in a wonderful building. 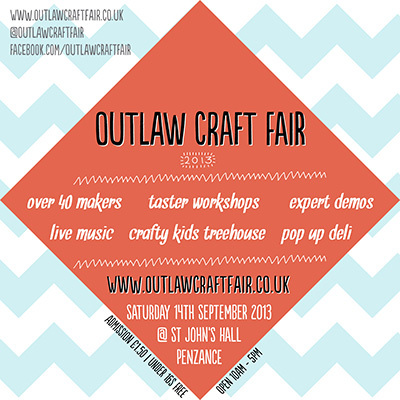 Admission is free, and there is an extensive roster of Cornwall-related activities. Gedon. 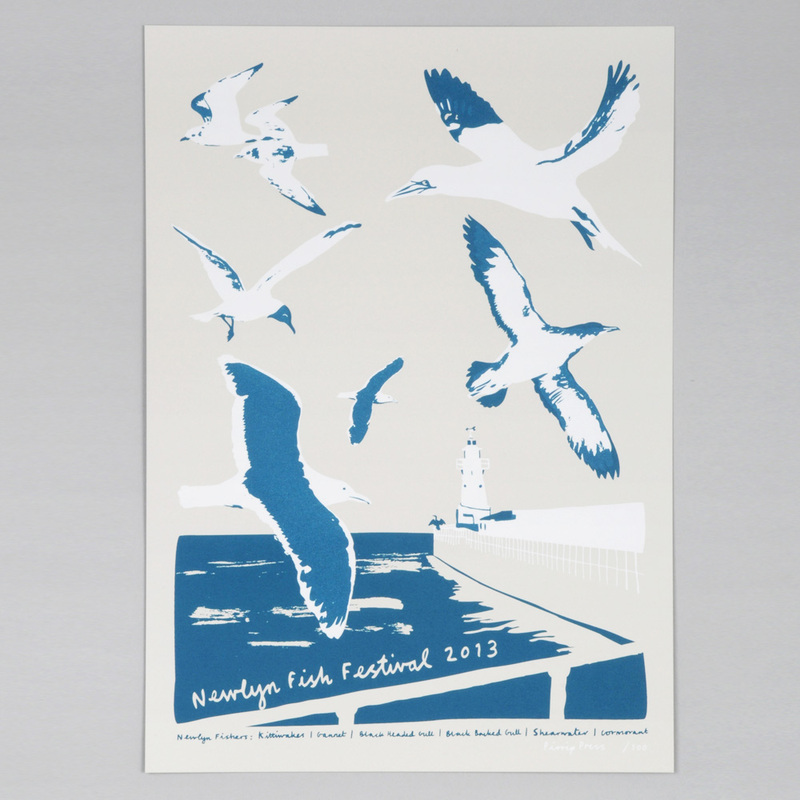 The guys at Heyday put on these vintage and handmade markets every now and again – I love them. 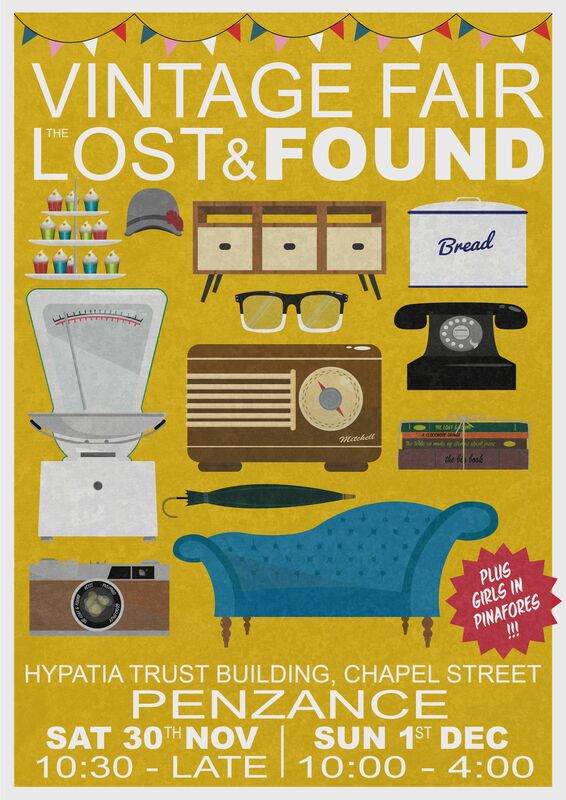 There’s one today until 4pm downstairs at the Acorn. I came back with some knitted freaks, a pack of vintage flower cigarette cards, handmade cards, a starey-gazy cupcake (nice) and a bon bec bag by Alexandra Higlett. On a stranger note, has anyone noticed how the Acorn sign has grown some sort of seaweedy mushrooms?! I am a huge fan of Blas Burgerworks of St Ives, as you may have gathered from gushing mentions on the blog and its place in my top 10 cheap eats on the north coast for the Guardian the other month. Well, as burger fortune would have it, Blas – intent on reinventing the maligned burger van – has hit the road this summer with ‘Blas Street’, a burger van ‘for people who give a damn’. 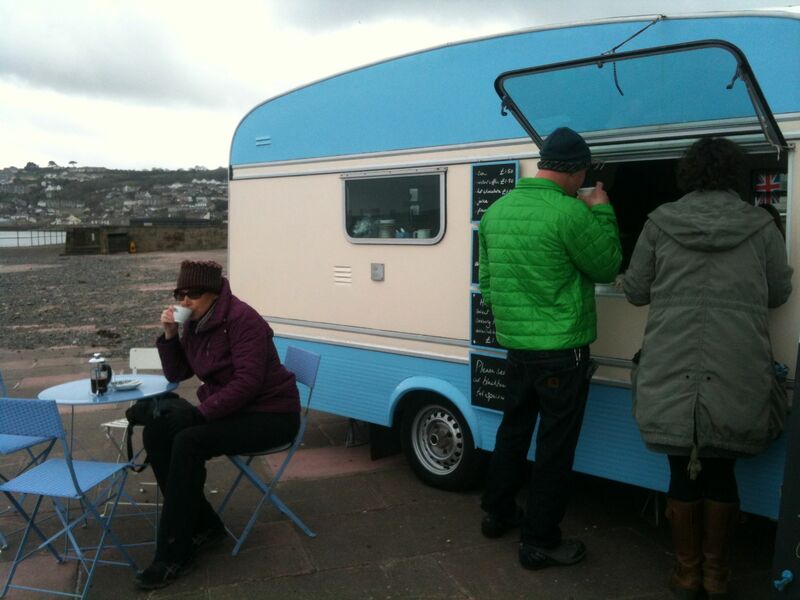 I snapped one up yesterday on the prom at Quay Fair Day and can confirm that the formula travels exceedingly well – Cornish freerange beef, seeded bun, crispy salad. Look out for the Blas ladies at festivals and beachside carparks this summer. 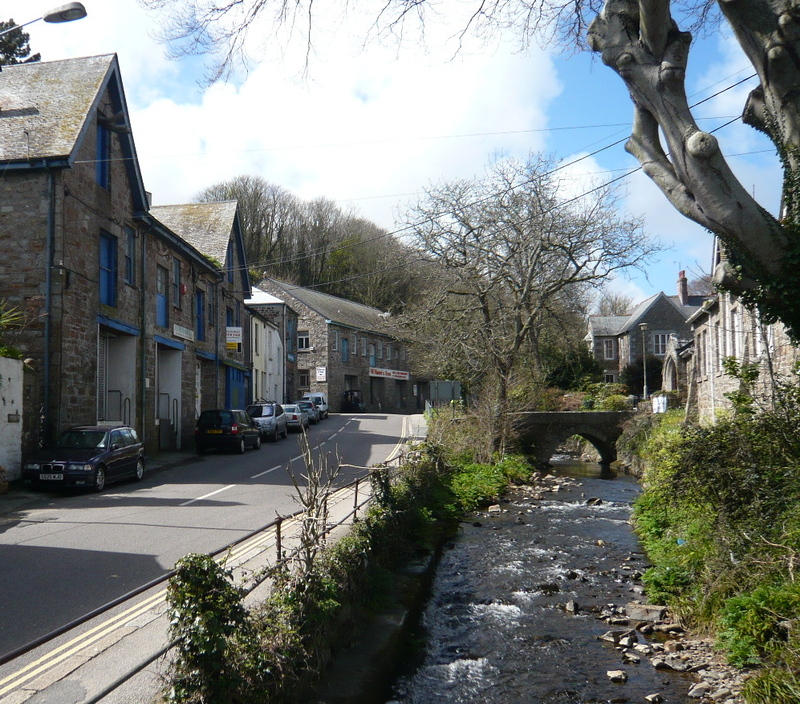 It’s Open Studios time again – an opportunity to stick your nose into the studios of Cornwall’s many hidden away artists and designers, woodworkers, needleworkers and illustrators. Just look out for the orange circles. It is oft quoted that West Cornwall has more working artists/sole-trading “creatives” per capita than anywhere outside London (or something…). 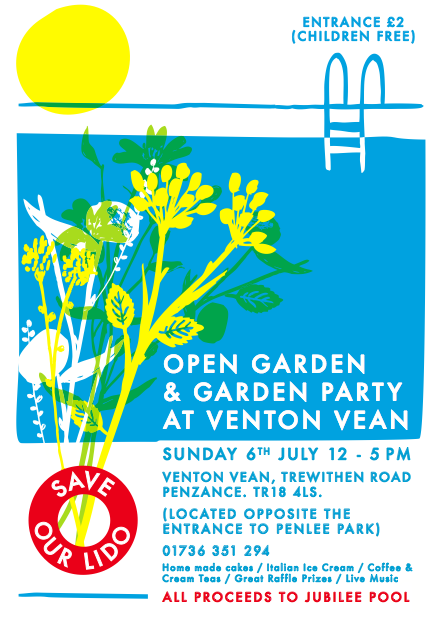 The exact statistic has been distorted by Cornish whispers, but it is clear when you look at the Open Studios map that there are a lot of them – even the village of Nancledra, population 150, is stacked with dots. 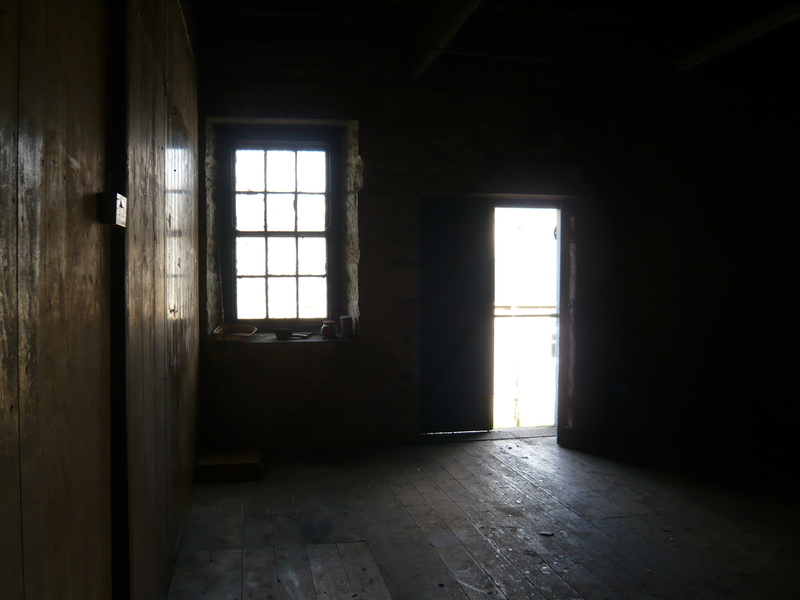 I am particularly keen on visiting the arty clusters of studios like Krowji and Trewidden. It doesn’t feel quite so much like walking into someone’s house (with the attendant feeling of obligation to chat!) and you can see lots of different work in a small space in a mellow but bustling atmosphere. Plus you can stop by the wildly eccentric Melting Pot Cafe afterwards at Krowji, which on the whole I love, though I wasn’t so keen on being charged £2.45 for a slightly watery hot chocolate in a paper cup on Sunday. Minimalist geometric 3D shapes and flat paintings. Could be interesting installing one in a Cornish cottage, where right angles are hard to find. More info on George here. The Tinner’s Arms – trading in the simple pleasures in life since 1271. It’s an exotic life we live in west Cornwall, isn’t it? If you look around at people’s gardens, you’d think it were the Canaries – no Penwith garden or yard is complete without a few succulents making themselves at home, a banana tree, or at the very least a palm. The reality of the Cornish climate is a more mizzly and damp affair – don’t let anyone tell you otherwise. But what’s crucial plant-wise is our lack of frost and the year-round mild temperatures, which allow people to grow all sorts of exotic plants with great success. I’m determined to be one of them. With that in mind I went over to the Hardy Exotics Nursery on the A30 at the weekend, and left quite overwhelmed with inspiration. I could have spent hundreds of pounds buying into the dream of creating a mini Eden in my diminutive Penzance yard, but my affections settled in the Echeveria section. These permanently flower-like succulents are impossible to resist with their pale pinky, green shades, and intricate patterns. I bought two (£6.50 each – the two pots pictured below) and left thrilled. It’s the owners, though, that really make the experience – both are wonderfully generous and enthusiastic with their advice in a gentle, totally non-pushy way. They also responded well to my request for plants that are ‘very difficult to kill’. At one point, while camping near the pretty peak of Lanín in Argentina I think it was, I harboured vague aspirations to climb up high stuff. Since then I have had three hip surgeries, and live with the lingering pain of hip impingement syndrome, so it’s a very good thing for me that the peaks of West Penwith are measured in hundreds rather than thousands of metres – and take on average 10 minutes to climb. Ideal for those with motivation impingement syndrome too! 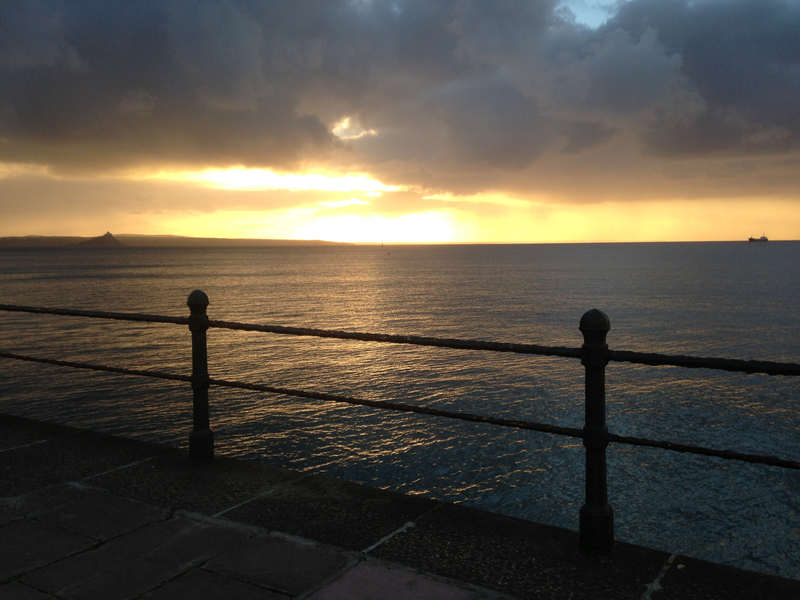 what is it about st ives that makes it so special? 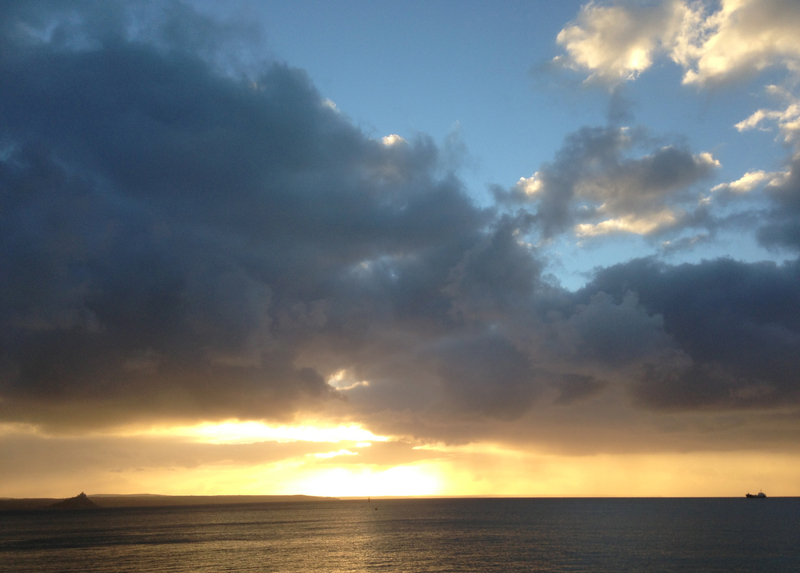 There may no longer be a working potter on every corner, and the appearance of Musto and Pizza Express do rather diminish the boho credentials, but St Ives is still a very special, individual, free-thinking kind of place. 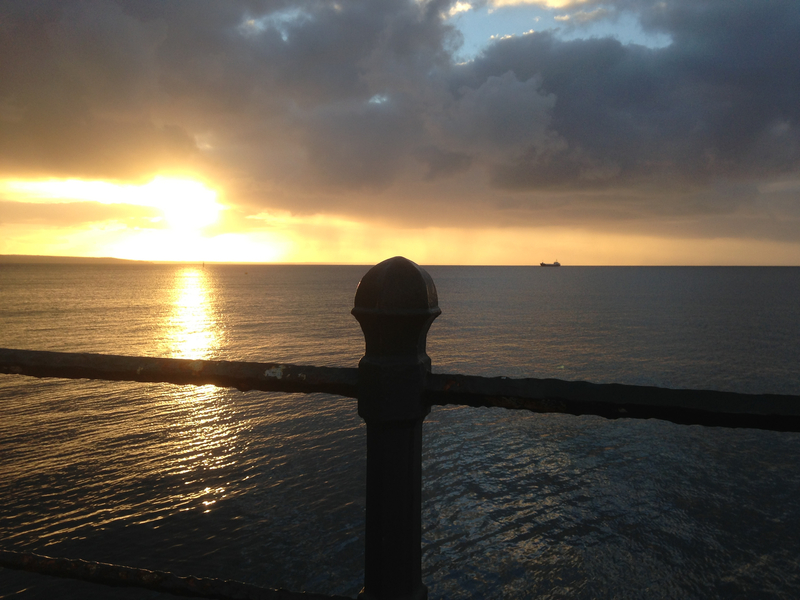 It’s where I go on the train on a rainy February day to perk myself up – it’s always summer in St Ives. 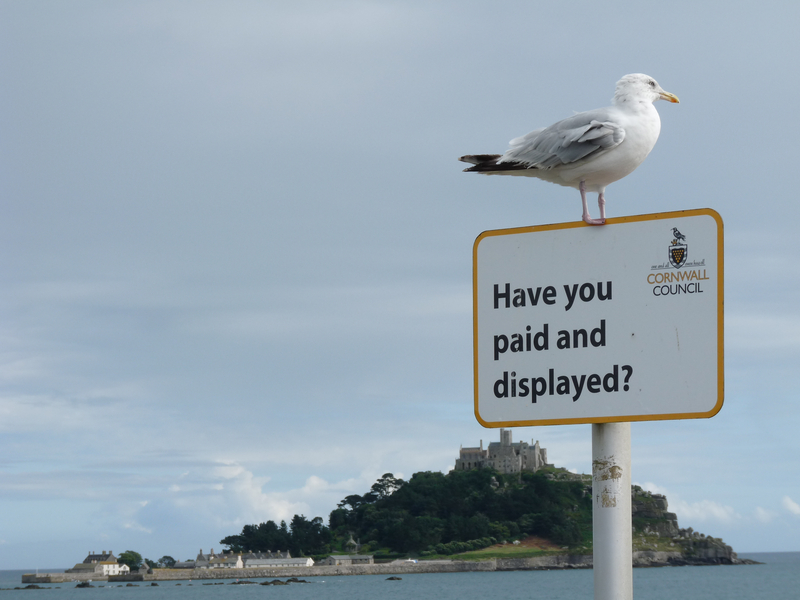 Among many who have fallen under its spell, one escape artist interviewed on the programme says, ‘We were terrified of the drudgery of a conformist life – we came to St Ives to avoid having our wings clipped.’ I think there’s something of that sentiment in many an escape to Cornwall. You can listen to the programme for the next THREE days online here. 30 mins long.